Evan D. Wolff: Privacy & Cybersecurity/Homeland Security Lawyer: Washington, D.C.
Click here or below to watch Evan Wolff present alongside General (ret.) David Petraeus and Suzanne Spaulding, Senior Advisor at the U.S. Department of Homeland Security. Evan D. Wolff is a partner in Crowell & Moring's Washington, D.C. office where he is co-chair of the firm's Privacy & Cybersecurity Group and a member of the Government Contracts Group. Evan has a national reputation for his deep technical background and understanding of complex cybersecurity legal and policy issues. Calling upon his experiences as a scientist, program manager, and lawyer, Evan takes an innovative approach to developing blended legal, technical, and governance mechanisms to prepare companies with rapid and comprehensive responses to rapidly evolving cybersecurity risks and threats. Evan has conducted training and incident simulations, developed response plans, led privileged investigations, and advised on hundreds of data breaches where he works closely with forensic investigators. Representing a broad range of companies across multiple sectors including government contractors, the defense industrial base, transportation, energy, health care, insurance, hospitality, education, and non-profit, Evan's legal practice has a focus on regulatory compliance including Defense Federal Acquisition Regulation Supplement (DFARS), General Data Protection Regulation (GDPR), Privacy Shield, the SAFETY Act, and the Chemical Facility Anti-Terrorism Act (CFATS). Evan also advises companies on computer network security, general security issues, investigation coordination after intrusions, data breaches, and insurance-related issues. Prior to entering private practice, Evan served as an advisor to the senior leadership at the Department of Homeland Security (DHS). Previously, he held the position of principal homeland security policy analyst/project manager to The MITRE Corporation and also served as general counsel and senior geospatial analyst for isciences LLC; vice president and principal of Environmental Protection International; and senior geologist at the U.S. Nuclear Regulatory Commission. Adding to his credentials, Evan was inducted into the Council on Foreign Relations in 2017 joining other thought leaders, including top government officials, global business leaders, members of the intelligence and foreign policy community, journalists, and prominent lawyers, to help shape foreign policy. Evan serves on the Sandia National Lab External Advisory Board, the U.S. Chamber of Commerce National Security Task Force, as a panel member on the Defense Science Board at the Department of Defense, and as a senior adviser at the Homeland Security and Defense Business Council. Evan is currently the co-chair of the ABA Homeland Security Law Institute, as well as a senior adviser to the ABA Committee on Law and National Security. In 2011, Evan was invited to serve as a member of the Aspen Institute's Homeland Security Group. Evan also serves as a senior associate (non-resident), Homeland Security and Counterterrorism Program at the Center for Strategic & International Studies (CSIS). In 2014, Evan co-authored an ABA Section of Criminal Justice article titled, "Industry Collaborations on Cybersecurity: Protecting Against Antitrust Violations," which was selected as one of the "Best Articles" for the Business category, Anticompetitive Practice section at the 2015 Antitrust Writing Awards in Washington, D.C.
Evan is an adjunct professor at George Mason University School of Law and a global fellow with the Wilson Center. In addition to his role at Crowell & Moring, Evan is also a senior advisor to The Chertoff Group, a global security advisory firm based in Washington, D.C. Advised hundreds of companies develop cybersecurity incident response and crisis management plans and respond to data breaches, including facilitating public- and private-sector notifications in compliance with state regulatory programs. Advised a broad sector of companies, including the nation’s critical infrastructure, develop site security plans in compliance with national and international governmental cybersecurity and privacy programs and standards. Advised companies on physical security audits and assessments. Advised numerous chemical and manufacturing companies on chemical security regulation compliance, including compliance with the Chemical Facility Anti-Terrorism Standards (CFATS). Advised a broad base of companies in the areas of infrastructure protection, science and technology, and public policy in the national security area, and the SAFETY Act. Advised and counseled energy companies on NERC compliance issues, with a particular focus on Critical Infrastructure Protection (CIP) Standards. Represented a manufacturing company regarding Chemical Safety and Hazard Investigation Board (CSB) assessment of an industrial accident. Advised Fortune 100 corporation on compliance with security-related provisions including CFATS, the Maritime Transportation Security Act, and Federal Energy Regulatory Commission regulations. Advised multiple companies on security and safety regulation issues associated with construction and management of critical infrastructure including pipeline and energy. Developed environmental management systems in energy and chemical industries, focusing on various environmental statutes and multilateral environmental agreements. Significant project management and work experience in India, China, Nigeria, the European Union and the Middle East. Advised U.S. government and private corporations on trade and business transactions regarding domestic, foreign and international laws and treaties in the areas of environmental law and policy, and international trade. Advised Fortune 500 defense contractor on legal issues associated with participation in Foreign Intelligence Surveillance Act and Electronic Communications Privacy Act related activities on behalf of U.S. government agency. "Cyber-Insecurity: How to Improve America's Digital Defenses," Woodrow Wilson International Center for Scholars, Washington, D.C. (February 28, 2019). Presenter: Evan D. Wolff. "Public Partnerships Roundtable," Aspen Security Forum, Washington, D.C. (December 10, 2018). Presenter: Evan D. Wolff. "Privacy & Cybersecurity Considerations," HII Conference, Virginia Beach, VA (November 13, 2018). Presenter: Evan D. Wolff. "2018 Northeast Cybersecurity, Privacy and Data Protection Retreat," Think Ing3nious, Middleburg, VA (October 29, 2018). Presenter: Evan D. Wolff. "Cyber/Privacy Incident Response Playbook: Best Practices," 2018 GRF Summit: Third-Party Risk Sumission Confirmation, Leesburg, VA (October 26, 2018). Presenter: Evan D. Wolff. "Cybersecurity for Contractors," Government Contracts "101" - Back to Basics, Washington, D.C. (October 10, 2018). Presenters: Evan D. Wolff and Kate M. Growley. "Don’t Acquire Your Next Breach: Assessing Cyber Security Before, During and After the Transaction," Privacy + Security Forum 2018, Washington, D.C. (October 4, 2018). Presenter: Evan D. Wolff. "Building an Asia-Pacific Data Regime for Financial Services," APFF Data Ecosystem Conference, Washington, D.C. (September 26, 2018). Presenter: Evan D. Wolff. "GDPR and Beyond," Crowell & Moring's Government Contracts Breakfast Series, McLean, VA (September 19, 2018). Presenters: Adelicia R. Cliffe, Evan D. Wolff Maria, Alejandra (Jana) del-Cerro, and Kate M. Growley. "Supply Chain Panel," DHS National Cybersecurity Summit, New York, NY (July 31, 2018). Panelist: Evan D. Wolff. "Emerging Technologies in Great Power Competition," Cyber Week, Tel Aviv, Israel (June 19, 2018). Panelist: Evan D. Wolff. "Cyber and Physical Security," Future Trends Forum - Technologies Disrupting Cities, Lisbon, Portugal (May 31, 2018). Presenter: Evan D. Wolff. "Anatomy of a Commercial IT Data Breach," Johns Hopkins University Applied Physics Lab, Laurel, MD (May 22, 2018). Presenter: Evan D. Wolff. "Data Breaches/TTX," Wilson Center Conference, Washington, D.C. (April 27, 2018). Presenter: Evan D. Wolff. "GDPR Compliance – You Forgot Your Digital Environment," RSA Conference 2018, San Francisco, CA (April 19, 2018). Presenter: Evan D. Wolff. "DHS and the Private Sector: Issues and Next Steps," Council on Foreign Relations (CFR), Washington, D.C. (April 4, 2018). Presenter: Evan D. Wolff. "GDPR: An EU Framework for Managing Privacy and Data Security Risk," Wilson Center, Washington, D.C. (April 3, 2018). Speakers: Evan D. Wolff, Peter B. Miller, and Maarten Stassen. "Internet Insurrection: How To Address: Fake News, Deception, Malware and Adware Attacks," SINET ITSEF 2018, Silicon Valley, CA (March 7, 2018). Moderator: Evan D. Wolff. "A Lawyer Plus Technologist: Keeping Pace with Information Security and Privacy - (Foundation)," RSA Charge, Dallas, TX (October 19, 2017). Presenter: Evan D. Wolff. "RSA Archer Suite Super Session | Know Which Risk Is Worth Taking," RSA Charge, Dallas, TX (October 19, 2017). Panelist: Evan D. Wolff. "Beyond the Breach: Policy Options to Prevent the Next Major Cyber Intrusion," DC CyberWeek 2017 - Woodrow Wilson Center, Washington, D.C. (October 16, 2017). Moderator: Evan D. Wolff. “Law Firm Data Security: Risks, Solutions, Law & Ethics,” NetDiligence Cyber Risk & Privacy West Coast Forum 2017, Santa Monica, California (October 10, 2017). Presenter: Evan D. Wolff. "Developing a Common Framework for Achieving Risk Reduction, Compliance, Privacy, and Real Cybersecurity," Privacy Secuirty Forum, Washington, D.C. (October 6, 2017). Presenter: Evan D. Wolff. "LS-ISAO Incident Response Panel," Baltimore Marriott Waterfront Hotel, Baltimore, MD (October 2, 2017). Panelist: Evan D. Wolff. "Do We Have the Right National Cyberspace Strategy?" Cyber Beacon IV Conference, Washington, D.C. (September 27, 2017). Panelist: Evan D. Wolff. "Innovation Panel: Investing in Cyber Security," Cybertech Fairfax, McLean, VA. (June 13, 2017). Panelist: Evan D. Wolff. "From the Dark Web to a Bright Future," Cyber Security Best Practices, Washington, D.C. (May 18, 2017). Panelist: Evan D. Wolff. "Resilience Challenges in the Decades to Come: What Keeps You Up at Night?" 2017 Frontiers in Resilience Symposium, Arlington, VA (May 10, 2017). Panelist: Evan D. Wolff. "Are we Cyber Secure? Taking Stock of Policies and Challenges," Transatlantic Cyber Security: A Roadmap to Resilience, Berlin, Germany (April 26, 2017). Speaker: Evan D. Wolff. What Every Executive Needs to Know About Cybersecurity, Arlington, VA (February 22, 2017). Presenter: Evan D. Wolff. "Legislative and Regulatory Environment," Cyber-Securing the Nation, New America, Washington, D.C. (December 5, 2016). Panelist: Evan D. Wolff. "Legislative and Regulatory Environment," Cyber-Securing the Nation, Washington, D.C. (December 5, 2016). Presenter: Evan D. Wolff. "The Department of Homeland Security Safety Act, Cybersecurity & The Law: Parlaying a Risk Mitigation Program into a Market," Ing3nious, Southern California (November 7, 2016). Panelist: Evan D. Wolff. "CISA/Information Sharing Panel," Q&A & Technology Forum, American Fuel & Petrochemical Manufacturers, Baltimore, MD (September 27, 2016). Panelist: Evan D. Wolff. "Anatomy of a Data Breach," 55th Annual National Seminar on Government Contracts, Minneapolis, MN (September 14, 2016). Panelist: Evan D. Wolff. "Cybersecurity & the Internet of Things," HSLI, University of Minnesota, Minneapolis, MN (August 25, 2016). Panelist: Evan D. Wolff. Aspen Institute Homeland Security Group Member Panel, Aspen, CO (July 25, 2016). Panelist: Evan D. Wolff. "Cybersecurity Table Top for a Congressional Cyber Security Lab Program," Wilson Center, Washington, D.C. (June 10, 2016). Moderator: Evan D. Wolff. Facilitators: Peter B. Miller, Harvey Rishikof, Maida Oringher Lerner, Elliot Golding, and Kate Growley. "Assessing the Israeli Cybersecurity Experience," Wilson Center, Washington, D.C. (June 2, 2016). Panelist: Evan D. Wolff. "Cyber Security: Understanding Challenges & Solutions," Crowell & Moring's Business Leaders Forum, New York, NY (March 10, 2016). Panelist: Evan D. Wolff. "Federal Contracting and Cybersecurity: What Higher Education Institutions Need to Know," Webinar (March 3, 2016). Panelists: Laurel Pyke Malson, Evan D. Wolff, Lorraine M. Campos, Harvey Rishikof and Kate M. Growley. "Data Breaches, Risk Management, and Incident Response Plans," Department of Energy's Cyber Distinguished Speaker Series, Washington, D.C. (February 16, 2016). Presenter: Evan D. Wolff. "Cyber Risk Governance: Top of House Issue for C Suite? Why? How is it being managed?" and "Pre-incident or breach: How do you prepare?" 2016 WPO Business Track Series - What Every CEO Should Know About Cybersecurity, McLean, VA (February 11, 2016). Presenter: Evan D. Wolff. "Overview and Impact of Recent Cybersecurity Legislation," Sandia, CA (January 29, 2016). Panelist: Evan D. Wolff. "Managing Cyber Risk and the Role of Insurance," Center for Strategic & International Studies (CSIS), Washington, D.C. (September 10, 2015). Panelist: Evan D. Wolff. "Industry Challenges with Insider Risk and Third-Party Vendors," CERT Insider Threat Symposium, Pittsburgh, PA (June 23, 2015). Panelist: Evan D. Wolff. 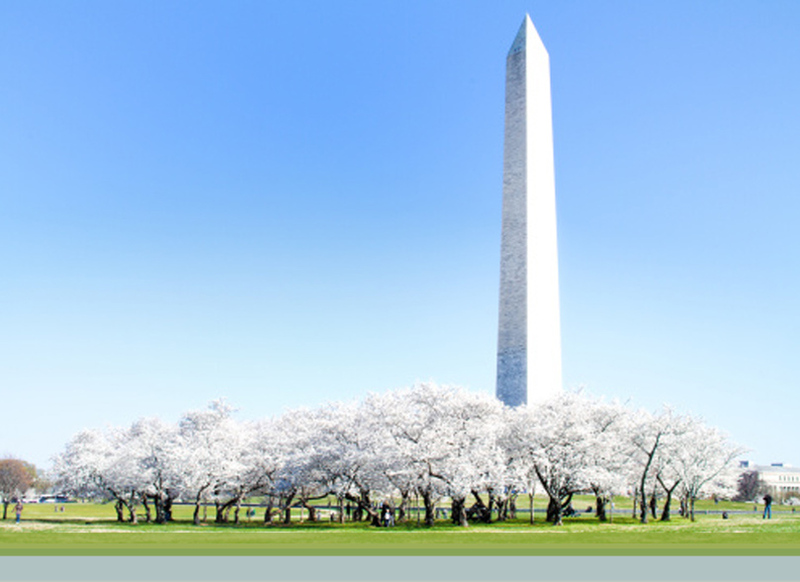 "Cybersecurity Risk Management: The View from Washington and Beyond," OOPS 2015, Crowell & Moring's 31st Annual Ounce of Prevention Seminar, Washington, D.C. (May 5-6, 2015). Moderator: Peter B. Miller; Panelists: Evan D. Wolff, Maida Oringher Lerner, and Kate M. Growley. "Cybersecurity - Greater Challenges Ahead," The Energy Bar Association 14th Annual Western Chapter Meeting, San Francisco, CA (March 6, 2015). Presenter: Evan D. Wolff. "Careers in Cyberlaw," Cyberlaw Student Association (CYLSA), George Washington University Law School (February 10, 2015). Panelist: Evan D. Wolff. "From Sony to the SOTU – Cybersecurity in 2015," Noblis Technology Tuesdays Program, Falls Church, VA (February 10, 2015). Speaker: Evan D. Wolff. "What Will the New Year Bring: Cybersecurity and Privacy," Crowell & Moring Webinar (January 7, 2015). Presenter: Evan D. Wolff. "Got Chemicals? The State of Play on Chemical Security Regulations," Crowell & Moring Webinar (December 17, 2014). Presenters: Warren Lehrenbaum, Daniel W. Wolff, and Evan D. Wolff. "Cyber/Information Security," Bipartisan Program for Newly Elected Members of Congress, The Institute of Politics at the Harvard Kennedy School, Washington, D.C. (December 4, 2014). Panelist: Evan D. Wolff. "Securing Your Pipeline Network - Practical Considerations and Security Recommendations," North American Pipeline Congress, Chicago, IL (November 19-20, 2014). Presenter: Evan D. Wolff. "Electric Utility Industry Outlook," The American Public Power Association (APPA) 2014 Grid Security Summit, Washington, D.C. (November 12, 2014). Presenter: Evan D. Wolff. "The Future of Public-Private Partnerships, Technology Coordination and Response: Views From Government, Industry and Academia," AFCEA International and INSA Intelligence and National Security Summit," Washington, D.C. (September 18-19, 2014). Panelist: Evan D. Wolff. "Role of the General Counsel in Cyber Security," DRI Data Breach and Privacy Law Seminar, Chicago, IL (September 11-12, 2014). Panelist: Evan D. Wolff. "Infrastructure Protection Regulations: Chemical Facility Anti-Terrorism Standards (CFATS)," American Bar Association 9th Annual Homeland Security Law Institute, Washington, D.C. (August 21-22, 2014). Speaker: Evan D. Wolff. "Cybersecurity Issues For General Counsels," Thirty-Seventh Annual American Gas Association (AGA) Legal Forum, Park City, UT (July 13-15, 2014). Presenter: Evan D. Wolff. "Retail Privacy and Cybersecurity Seminar: How to Avoid Making the Headlines," Crowell & Moring Seminar (May 15, 2014). Presenters: Robin B. Campbell, Christopher A. Cole, Jeffrey L. Poston, and Evan D. Wolff. "Higher Risk in Higher Education: How to Lower Your Cyber and Data Risk," AllClear ID and Crowell & Moring Webinar (April 22, 2014). Presenters: Jeffrey L. Poston, Evan D. Wolff, and Louisa K. Marion. "What Your Corporate Advisor Should Be Telling You About Trending Regulatory Issues Facing Technology Companies," iACC SFBA, San Francisco, CA (April 10, 2014). Presenters: Nancy Saracino, Terry Rea, Gregory D. Call, and Evan D. Wolff. "Cyber Crisis Management," West Coast Ounce of Prevention Seminar (WOOPS), Manhattan Beach, CA (April 8, 2014). Presenters: Jennifer S. Romano, Evan Wolff. "The NIST Cybersecurity Framework: Getting from Point A to Point B using NIST's Roadmap for Managing Cyber Risks," ABA Section of Science & Technology Law Panel Discussion (March 10, 2014). Panelist: Evan D. Wolff. "Cultivating a Globally Competitive Cybersecurity Workforce," Cyber Education Symposium, Arlington, VA (November 20, 2013). Presenter: Evan D. Wolff. "The Cybersecurity Executive Order and NIST Framework: Status and Potential Implications on Critical Infrastructure and Beyond," American Bar Association Section of Science and Technology Law Information Security Committee 2013 Fall ISC Meeting and Presentation, Washington, D.C. (October 26-27, 2013). Presenter: Evan D. Wolff. "Cyber and Information Security: Internal and Outsourcing Implications," The Virginia Bar Association's 15th Annual Corporate Counsel Fall Forum, Richmond, VA (October 16, 2013). Presenter: Evan D. Wolff. "8th Annual Homeland Security Law Institute," ABA Section of Administrative Law & Regulatory Practice (June 20-21, 2013). Program Vice-Chair: Evan D. Wolff. "Cyber Security: Can a Real Partnership Exist between Government and the Private Sector?" Council of Corporate Security Executives, Dallas/Ft. Worth, TX (May 8, 2013). Speaker: Evan D. Wolff. "Active Cyber Defenses: Defining Private and Public Sector Roles," IT Security Entrepreneurs' Forum, Stanford University, Stanford, CA (March 20, 2013). Panelist: Evan D. Wolff. "The Cybersecurity Executive Order: Understanding Its Impact on Your Business" (February 20, 2013). Speaker: Evan D. Wolff. "Applying Innovation to Advanced Threat Detection," Accenture Technology Labs, Arlington, VA (October 23, 2012). Speaker: Evan D. Wolff. "Cyber Defense & Security," ISPCS 2012, Las Cruces, NM (October 17-18, 2012). Speaker: Evan D. Wolff. "CBRNE Technological Capabilities Panel: Integrated CBRNE Detection and Response: Challenges and Opportunities," Center for Strategic and International Studies (September 20, 2012). Moderator: Evan D. Wolff. "Roles of Cyber in National Defense Panel III: Coordinating Military Operations with Industry Legal Challenges Faced by Various Agencies and the Private Sector," USCYBERCOM Inter-Agency Legal Conference, Ft. Meade, MD (September 18, 2012). Panelist: Evan D. Wolff. "2012 Department of Homeland Security, Small Business Innovation Research, Commercialization Assistance Workshop," Arlington, VA (June 20, 2012). Panelist: Evan D. Wolff. "The Invisible Threat: Exploring the Importance of Cybersecurity Policy," National Security Network and Center for National Policy briefing on Capitol Hill, Washington, D.C. (April 4, 2012). Panelist: Evan D. Wolff. "2012 American Bar Association 7th Annual Homeland Security Law Institute," Washington, D.C. (March 22-23, 2012). Faculty: Evan D. Wolff. "DHS Acquisition Management - A Vision for the Future," Washington, D.C. (March 8, 2012). Moderator: Evan D. Wolff. "Discussion on International Role of the Department of Homeland Security," Aspen Homeland Security Group, Winter Meeting, Washington, D.C. (January 17, 2012). Participant: Evan D. Wolff. "2011 API IT Security Conference for the Oil and Gas Industry," Houston, TX (November 2-3, 2011). Speaker: Evan D. Wolff. "The Virtual Security Officer – Are You Getting the Most From Your Cameras and Guards?" ASIS International 57th Annual Seminar and Exhibits, Orlando, FL (September 21, 2011). Panelist: Evan D. Wolff. "The Chemical Facility Anti-Terrorism Standard (CFATS): Beyond the SSP," ASIS International 56th Annual Seminar and Exhibits, Dallas, TX (November 14, 2010). Panelist: Evan D. Wolff. "How Can Industry Help DoD and DHS Develop and Deploy New Technologies?" The National Symposium on Homeland Security and Defense, Colorado Springs, CO (October 28, 2010). Panelist: Evan D. Wolff. "Serving the Information Technology Customer," Toffler Associates' Breakfast, Washington, D.C. (July 14, 2010). Panelist: Evan D. Wolff. "Chemical and Water Security: An Update," Security Industry Association's Government Summit 2010 (June 8, 2010). Panelist: Evan D. Wolff. "Opportunities in Securing Energy Infrastructure Assets in India," Security of Energy & Critical Infrastructure Assets, Arlington, VA (April 28, 2010). Panelist: Evan D. Wolff. "Cybersecurity and National Security: Impact on Business" (April 28, 2010). Panelist: Evan D. Wolff. "Preparing for CFATS Inspections," National Petrochemical and Refiners Association's (NPRA) 2010 Security Workshop & Conference (March 8, 2010). Panelist: Evan D. Wolff. "Protecting Critical Infrastructure in the U.S.: A View of the Transportation Sector," International Security and National Resilience 2010 Conference, Abu Dhabi, UAE (March 2, 2010). Keynote Speaker: Evan D. Wolff. "The Christmas Day Attack: Continuing Challenges and Lessons Learned" (February 25, 2010). Speaker: Evan D. Wolff. "The Role of Public and Private Sectors in Building a Framework for Dealing with Disasters, Interdependencies and Resilient Critical Infrastructure," Society of American Military Engineers, Rocky Mountain Regional Conference, Colorado Springs, CO (February 16, 2010). Panelist: Evan D. Wolff. "Resilient Infrastructures & The Importance of Critical Infrastructure Protection," The Homeland Security Dialogue Forum, Washington, D.C. (December 4, 2009). Panelist: Evan D. Wolff. "Climate Change and National Security" (December 1, 2009). Panelist: Evan D. Wolff. "Chemical Security Inspections," Second Annual NJ CFATS Workshop, Middlesex, NJ (November 10, 2009). Panelist: Evan D. Wolff. "Critical Infrastructure Resiliency," National Homeland Defense Foundation Symposium, Colorado Springs, CO (November 9, 2009). Panelist: Evan D. Wolff. "Town Hall: Critical Infrastructure Resiliency," 2009 Critical Infrastructure Protection Congress, Landsdowne, VA (October 5, 2009). Panelist: Evan D. Wolff. "CFATS: Updates and Overview," ASIS International Seminar, Anaheim, CA (September 29, 2009). Panelist: Evan D. Wolff. "Cloud Computing: Are the Security Risks Real or Exaggerated?" (September 24, 2009). Panelist: Evan D. Wolff. "What Manufacturers Need to Know About Chemical Facility Anti-Terrorism Standards (CFATS) and How to Prepare," Industry Week Magazine Webinar (September 1, 2009). Presenter: Evan D. Wolff. "The Smart Grid: Meeting the Challenge of Modernizing Electric Systems While Protecting Their Security" (August 7, 2009). Presenter: Evan D. Wolff. "Cybersecurity Issues Involving Critical Infrastructure and Key Resources" (June 25, 2009). Presenter: Evan D. Wolff. "Prioritize to Win: Critical Infrastructure Protection," Symantec Government Symposium 2009, Washington, D.C. (June 19, 2009). Panelist: Evan D. Wolff. "Homeland Security Overview and Perspective Ministry of Interior, Kingdom of Saudi Arabia," Riyadh, KSA (June 8, 2009). Keynote Speaker: Evan D. Wolff. "A Regional Cluster for Homeland Security: The DHS Consolidation at St. Elizabeth's, Chesapeake Crescent Initiative," Washington, D.C. (April 8, 2009). Panelist: Evan D. Wolff. "The New U.S. Legislative & Regulatory Environment: What Impact Will it Have on Corporate Security," ASIS International Chief Security Officer Roundtable, Washington, D.C. (March 30, 2009). Speaker: Evan D. Wolff. "Chemical Security Briefing," Critical Manufacturing Sector Coordinating Council, Washington, D.C. (March 27, 2009). Speaker: Evan D. Wolff. "Writing with Legal Sensitivity," National Petrochemical & Refiners Association Security Conference, Houston, TX (March 10, 2009). Panelist: Evan D. Wolff. "Issues in the Headlines: Chemical Security (CFATS) Compliance; Cyber Security Data Breaches, U.S. Chamber of Commerce," National Security Task Force Meeting, Orlando, FL (March 1, 2009). Speaker: Evan D. Wolff. "Homeland Security & Information Sharing: State, Local & Private Sector Perspective," ABA Section of Administrative Law and Regulatory Practice, 4th Annual Homeland Security Law Institute, Washington, D.C. (February 26, 2009). Panelist: Evan D. Wolff. "Defending Against Domestic Catastrophe in War Time Panel," Report of the Defense Science Board 2007 Summer Study: Challenges to Military Operations in Support of U.S. Interests (December 2008). Panel Member: Evan D. Wolff. "Insider's Guide to the DHS Chemical Facility Anti-terrorism Standards (CFATS)," ASIS International 54th Annual Seminar, Atlanta, GA (September 15, 2008). Speaker: Evan D. Wolff. "Meeting the Requirements for the DHS Security Vulnerability Assessment & Chemical-Terrorism Vulnerability Information Programs," NPRA Workshop, Houston, TX (May 1, 2008). Instructor: Evan D. Wolff. "Chemical Security: Understanding the New Regulations & Implementing a Program," Environment Virginia 2008, Lexington, VA (April 1, 2008). Workshop Leader: Evan D. Wolff. "Infrastructure Protection-DHS and the Private Sector," Northrop Grumman Homeland Security Staff Meeting, Woodland Hills, CA (March 26, 2008). Keynote Speaker: Evan D. Wolff. "CFATS-CVI; Information Protection," 2008 National Petrochemical and Refiners Association Security Conference, The Woodlands, TX (March 4, 2008). Speaker: Evan D. Wolff. "Protecting Critical Infrastructure and New DHS Regulatory Authority - Securing the U.S. Chemical Industry and SAFETY Act," CADSI – Canada-U.S. Homeland Defense/Homeland Security Procurement Outlook, Ottawa, Canada (January 30, 2008). Keynote Speaker: Evan D. Wolff. "State & Local Emergency Preparedness - National Response Framework: Will We Be Prepared the Next Time?" ABA Homeland Security Law Institute, Washington, D.C. (January 17, 2008). Panelist: Evan D. Wolff. "Government Contracts – Battening Down the Hatches on Cybersecurity," Crowell & Moring's Regulatory Forecast 2019 (February 27, 2019). Contributors: Evan D. Wolff and Kate M. Growley. "DoD Increases DCMA Cybersecurity Responsibilities: DCMA to Implement and Assess Company-Wide Cyber Compliance," Crowell & Moring's Government Contracts Legal Forum (February 21, 2019). Authors: Evan D. Wolff, Kate M. Growley, CIPP/G, CIPP/US, Michael G. Gruden, CIPP/G, Payal Nanavati and Judy Choi. "Navy Boils The Ocean on Cyber," Crowell & Moring's Data Law Insights (October 24, 2018). Authors: Evan D. Wolff, Kate M. Growley and Michael G. Gruden. "Safety Act Liability Protections Will Be Tested," Crowell & Moring's Data Law Insights (July 25, 2018). Authors: Evan D. Wolff, Maida Oringher Lerner and Matthew B. Welling. "Colorado’s New Data Privacy Bill Increases Notification and Safeguarding Requirements," Crowell & Moring's Data Law Insights (July 17, 2018). Authors: Evan D. Wolff, Maida Oringher Lerner, Matthew B. Welling and Michael G. Gruden. "New Draft NIST Guidance on Systems Security Engineering," Crowell & Moring's Government Contracts Legal Forum (April 24, 2018). Authors: Evan D. Wolff, Peter B. Miller, Maida Oringher Lerner, Kate M. Growley, Judy Choi, Michael G. Gruden and Payal Nanavati. "FERC Proposes to Require Expanded Cyber Security Incident Reporting," Crowell & Moring's Data Law Insights (January 17, 2018). Authors: Evan D. Wolff, Maida Oringher Lerner, Deborah A. Carpentier, Matthew B. Welling and Michael G. Gruden. "Cybersecurity – Making Inside Jobs Less Likely," Crowell & Moring's Regulatory Forecast 2017 (May 2017). "Cleared Contractors Under the Gun as Insider Threat Program Deadline Approaches," Bloomberg BNA Insights (November 11, 2016). Authors: Adelicia R. Cliffe, Kate M. Growley, Maida Oringher Lerner, Peter B. Miller, and Evan D. Wolff. "Intimacy and Privacy Versus Cybersecurity," Cybersecurity, A Worldwide Challenge, Fundación Innovación Bankinter (May 2016). Co-Author: Evan D. Wolff. "The Global Uptake of the NIST Cybersecurity Framework," Cybersecurity Law & Practice, Volume: 2 Issue: 2 (February 2016). Co-Authors: Evan Wolff, Maida Lerner, Peter Miller, Matthew Welling, and Christopher Hoff. "Highlights of Obama's Ambitious New Cybersecurity Plan," Law360 (February 10, 2016). Author: Evan D. Wolff. "Managing Cybersecurity: What the Mining Industry Should Know and Do," The Conveyor (Winter 2016). Co-Authors: Evan Wolff, Maida Oringher Lerner, Preetha Chakrabarti, and Willa Perlmutter. "Privacy and Cybersecurity — Extending the Cybersecurity Defense," Crowell & Moring's Regulatory Forecast 2016 (January 2016). Contributors: Evan D. Wolff, Harvey Rishikof, and Frederik Van Remoortel. Also published in Westlaw Journal Government Contract, Vol. 30, Issue 5. "Interim Rule Could Expand Already Onerous DFARS Cyber Requirements," Crowell & Moring's Data Law Insights (August 27, 2015). Authors: Kate M. Growley, Evan D. Wolff, and Maida Oringher Lerner. "Interim Rule Could Expand Already Onerous DFARS Cyber Requirements," Crowell & Moring's Government Contracts Legal Forum (August 27, 2015). Authors: Kate M. Growley, Maida Oringher Lerner and Evan D. Wolff. "What The OMB Cybersecurity Proposal Does And Doesn't Do," Law360 (August 19, 2015). Authors: Kate M. Growley, Peter B. Miller, Maida Oringher Lerner, and Evan D. Wolff. "NIST Updates Guide on Security of Industrial Control Systems," Cyber Security Law & Practice, Vol. 1, No. 3 (June 2015). Contributor: Evan D. Wolff. "Cyberattacks Could Strike Gold In Mining Industry Data," Law360 (June 19, 2015). Authors: Evan D. Wolff, Maida Oringher Lerner, and Preetha Chakrabarti. "The Mining Law Monitor," Crowell & Moring Publication, Vol. 28, Issue 1 (Summer 2015). Editor: Daniel W. Wolff; Authors: Thomas P. Gies, Christopher Calsyn, Edward M. Green, Sherrie A. Armstrong, Evan D. Wolff, Maida Oringher Lerner, and Preetha Chakrabarti. "Technology Coalition tells the President: Encryption Back Doors are a Bad Idea," Crowell & Moring's Data Law Insights (May 20, 2015). Authors: Evan D. Wolff, Elliot Golding, and Christopher Hoff. "Cyber Executive Order Continues the Push for Public-Private Partnerships," Crowell & Moring's Data Law Insights (February 23, 2015). Authors: Evan D. Wolff, Peter B. Miller, Kate M. Growley, and Maida Oringher Lerner. "President Obama Announces Major Cyber and Privacy Legislation," Crowell & Moring's Data Law Insights (January 15, 2015). Co-Authors: Evan D. Wolff, Robin B. Campbell, and Elliot Golding. "Industry Collaborations on Cybersecurity: Protecting Against Antitrust Violations," ABA Section of Criminal Justice, Vol. 29, No. 3 (Fall 2014). Co-Authors: Evan D. Wolff, David Laing, Kate M. Growley, and Elizabeth Blumenfeld. "DOJ and FTC Help Pave the Way For Greater Cyber Information Sharing in the Private Sector," Bloomberg BNA Antitrust & Trade Regulation Report (July 11, 2014). Co-Authors: David Laing, Evan D. Wolff, Elizabeth Blumenfeld, and Kate M. Growley. "FTC Data Security Authority Remains Murky Despite Wyndham," Law360 (April 8, 2014). Co-Authors: Christopher A. Cole, Elliot Golding, and Evan D. Wolff. "Cybersecurity Standards for Owners of Critical Infrastructure," The National Law Journal (December 10, 2013). Co-Author: Evan D. Wolff. "Emerging Legal Issues in Managing Cyber Risk for Pipelines," Pipeline & Gas Journal, Vol. 240 No. 2 (February 2013). Author: Evan D. Wolff. "Cybersecurity & The Department of Homeland Security: Recommendations," The Aspen Institute (October 11, 2012). Co-Author: Evan D. Wolff. "White House Proposes Cybersecurity Legislation," Bloomberg Technology Law Reporter Co-Author: Evan D. Wolff. "Chapter 6, The Role of the Private Sector in Emergency Preparedness, Planning, and Response," Homeland Security and Emergency Management: A Legal Guide for State and Local Governments, Second Edition (Spring 2010). Co-Author: Evan D. Wolff. "Regulating Chemicals, Not Chemical Facilities," CFATS Compliance Beyond the Chemical Sector, Industrial Fire, Safety, and Security (January 2010). Co-Author: Evan D. Wolff. "Critical Infrastructure Resilience: Final Report and Recommendations," National Infrastructure Advisory Council, Department of Homeland Security (September 2009). Study Group Member: Evan D. Wolff. "Chemical Facility Anti-Terrorism Standards," ContractPharma (June 2009). Co-Author: Evan D. Wolff. "Homeland Security, The State of Criminal Justice 2007-2008," American Bar Association, Criminal Justice Section, Ch. 5 (April 2008). Author: Evan D. Wolff.